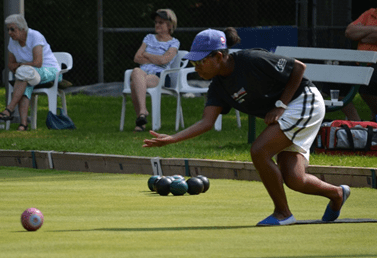 With two days gone by at the World Cup in Warilla, Australia – British Columbia athlete Pricilla Westlake continues to impress as she beat one of the number one bowlers on the planet. In a tight game she outlasted Siti Zalina Ahmad of Malaysia. This is a huge feather in Pricilla’s cap as Siti is one of the all time greats throughout Women’s Bowls around the world. Her list of Championships are endless having won multiple Commonwealth Games Medals, World Titles and is the defending Champion from last years World Cup event. Pricilla now sits at the top of the table with a 3-1 record and has put herself in a great position to qualify for the playoffs. Vince Mai has battled back after a rocky start in his opener against Peter Bonsor of Spain. He came out fighting in his match with Homer Mercado of the Philippines and won easily 11-3, 13-5. In his third round match against Scotland, Vince came up a bit short with a few unlucky breaks to lose the match – 6–6, 9-11. Next up for our BC Bowlers are Spain for Pricilla and South Africa for Vince. Best of luck and keep going you guys, you are doing great out there!